There is no need to turn to synthetic skin care products, which are harmful to our skin and nature, when we have the apricots, one of the most effective natural ingredients to stop skin deterioration, and answer to our beauty problems. Anti-inflammatory apricots are good for sensitive skin and useful for treating a number of skin diseases like eczema or other irritating skin conditions, and when they are combined with essential oils they have a soothing effect on skin diseases. Skin beneficial apricots are also very useful in eliminating skin blemishes, reducing wrinkles, removing blackheads, moisturizing skin and improving skin tone. Apricots with their wide array of nutrients are good for our hair too, they are very effective in maintaining hair health and supporting healthy hair growth. They can be used as a great conditioner or for treatment of scalp problems like dry and flaky scalp, or dandruff. 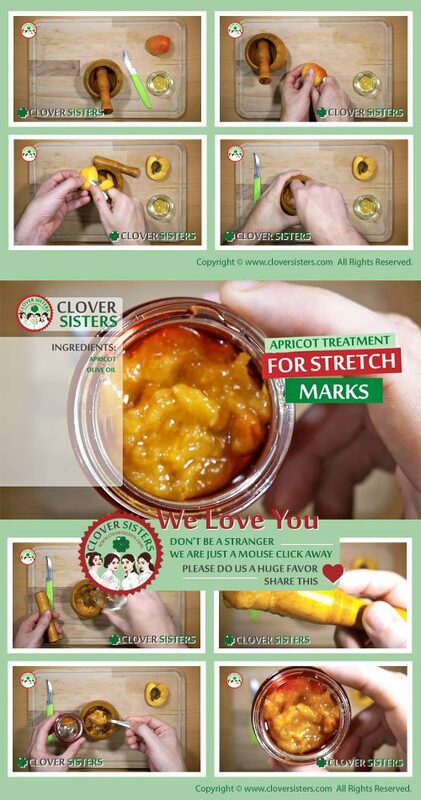 Apply daily apricot puree with a drop of olive oil on the skin with stretch marks and leave it for about 30 minutes. Wash it off with lukewarm water.